A new set of jeans have been made specifically for Apple’s latest mobile handset the iPhone 5. The name of the jeans is called the WTFJeans. According to Time’s Techland, this snazzy pair of jeans that have a special pocket designed specifically for the iPhone 5 and a second hidden pocket for a USB adapter will run you a not-so-cheap $159.99. 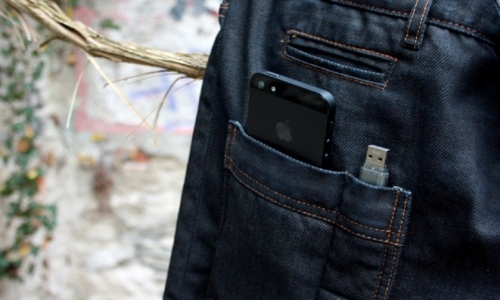 You can grab a pair of the jeans right now and keep your iPhone 5, pebbles and USB stick in a comfortable place.